It’s hard to imagine that someone could walk up to your porch, take your pet, euthanize it, and walk away scot-free; but that’s exactly what happened to one family in Accomack County, Virginia. 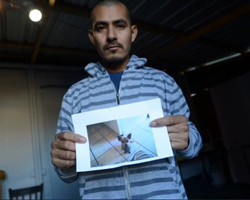 Wilber Cerate and his family have felt helpless since their pet Chihuaha was removed from their property and put down by workers from the People for the Ethical Treatment of Animals. PETA's only response to the incident was to send the family a formal apology and a fruit basket. Though the workers were seen on camera taking the dog from Cerate's porch and Cerate has filed charges against them, the workers were set free and no prosecution because the actions were taken with no criminal intent. Though there is no legal recourse for Cerate, it can be questioned whether a no-kill program might have prevented this tragic loss. Since its inception in 2008, Austin Pets Alive has done monumental work to turn Austin into a no-kill city; however, the growing organization still faces many hurdles. Nearby denizens are concerned that the shelter’s presence harms local businesses and have been advocating its removal, leading to various lease restrictions and a lack of city funding. 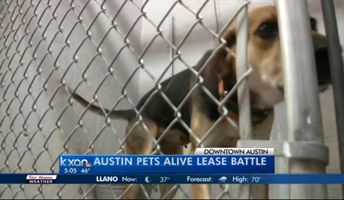 The APA's lease at the Townlake Animal Center was set to expire early next year, which would force them to end many of their programs. Though APA aims to move into a facility specifically designed to meet its needs once its construction is complete, it desperately needed a lease extension to maintain its programs in the interim. Yesterday, the city council voted to modify the APA's lease and allow for repairs and modifications. The APA has raised funds on its own and appears to be well on its way to finding a permanent home for its programs, showing that a no-kill model is viable and creating hope for animals in cities nationwide. 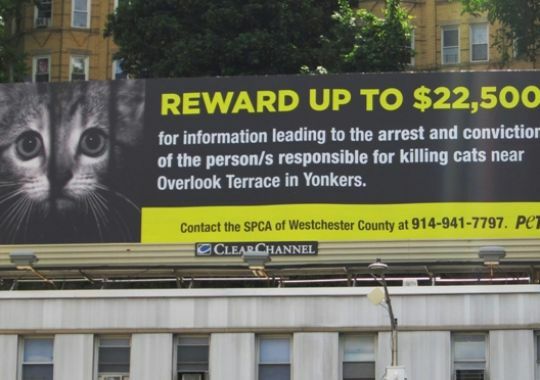 An absurd problem plaguing the citizenry of Yonkers, New York, has met with an unexpected resolution as the alleged culprit behind a series of egregious abuses awaits trial. Over the past five years, more than 60 cats have been found individually wrapped in plastic bags and left hanging from the trees in a local park. The incidents have led to nationwide press and a campaign by PETA offering a $22,500 reward to anyone providing information that leads to the arrest and conviction of the responsible party. This past Tuesday, Rene Carcamo was arrested and charged with three misdemeanor counts of violating environmental conservation law and two counts of animal cruelty. Carcamo has stated that he is indeed responsible for the improper disposal of the cats, stating that the disposal aimed to keep other animals from desecrating their bodies. USA Today reports that residents identified Carcamo as the “pied piper” of feral cats but are surprised at his involvement in the incidents. Arthritis and hip dysplasia can be devastating to a dog's well-being. Though there are preventive measures that can help keep pets healthy, once a dog's joints begin to go it can be difficult to repair them. This is why it's important for dog owners to know if their dog may be prone to degenerative joint disorders. 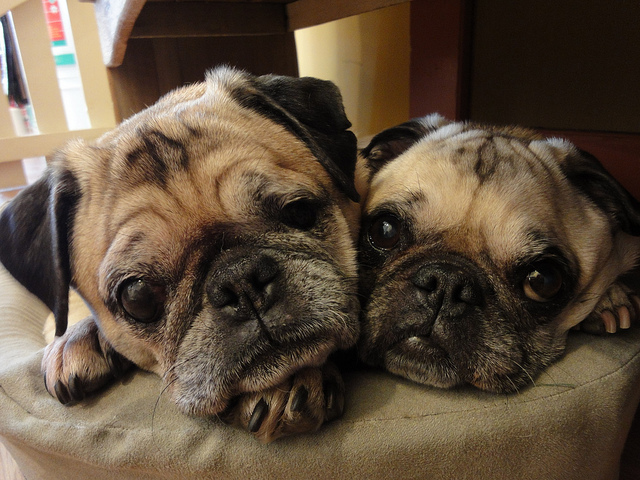 Simply knowing that your dog's breed is predisposed to the condition can prove valuable in prevention. That's why we'd like to call attention to blog post made by Animal Bliss earlier this week which created a list of dog breeds that may be predisposed to Hip Dysplasia. While many of the dogs on the list are larger breeds, you might be surprised to find some small breeds are included as well. For a full list of the breeds predisposed to this condition, we encourage you to check out Animal Bliss, where you’ll find all sorts of helpful pet care tips!